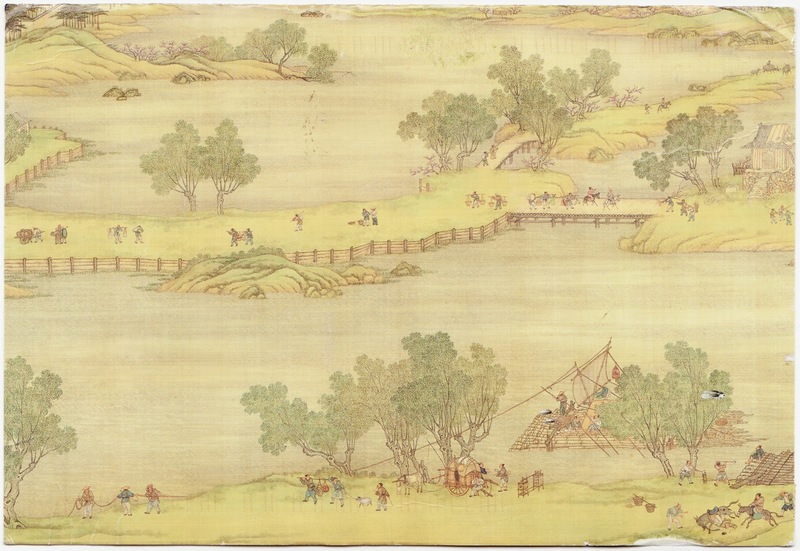 This postcard, from Zih-Ting (Julie) in Taiwan, features a small portion of the historic panoramic painting "Along the River During the Qingming Festival." 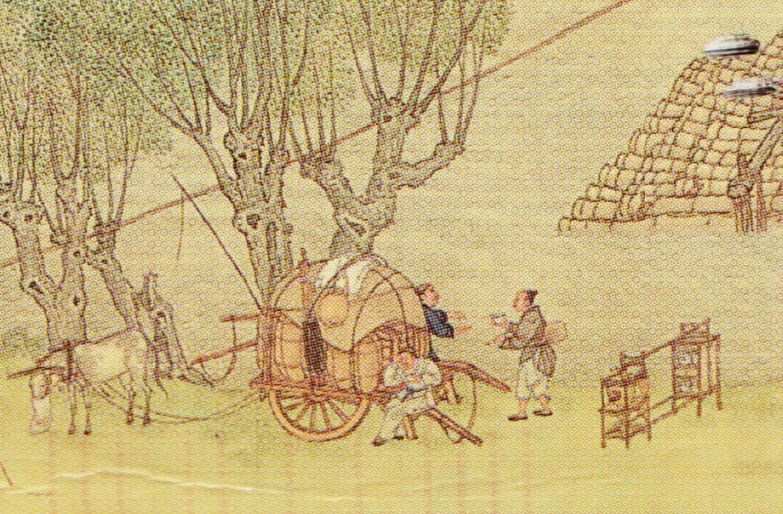 Zih-Ting doesn't specify whether this is the Song dynasty original by Zhang Zeduan or the remake by five Qing dynasty court painters in the early 1700s. Both are considered national treasures and are housed in palace museums. Here's a detail from the postcard, which itself is just a detail of the sprawling painting. The original by Zhang Zeduan is 207 inches wide and features 814 humans, 28 boats, 60 animals, 30 buildings, 20 vehicles, 170 trees and a meandering river. Here's a closer look at the 2015 Belarusian stamp. 1. Novogrudok is Olga's English spelling for Навагрудак. Other spellings include Navahrudak, Navaredok and Novhardok. 2. Which, to me, means it's time to starting mowing. 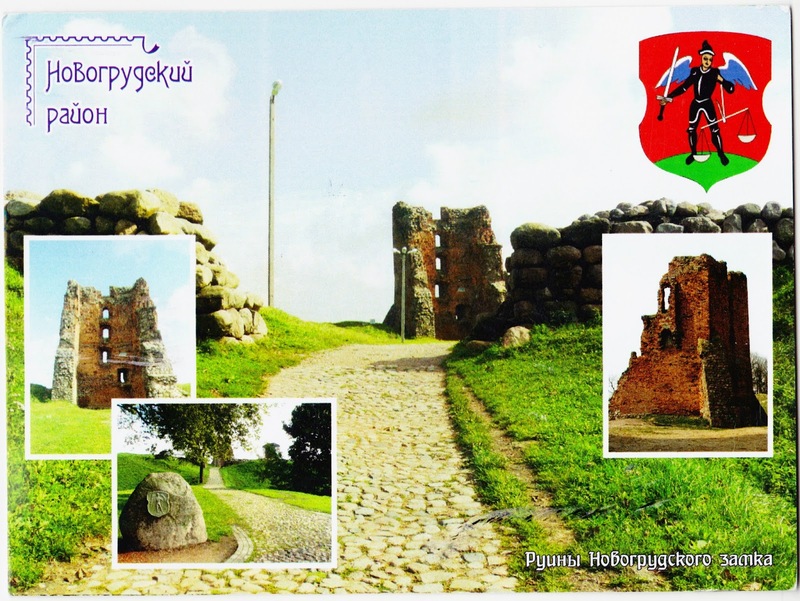 The stamp from Belarus is Universal Postal Union code BY001.15. The horizontal text reads: "Architectural Monuments of Capitals [or perhaps 'the Capital']". 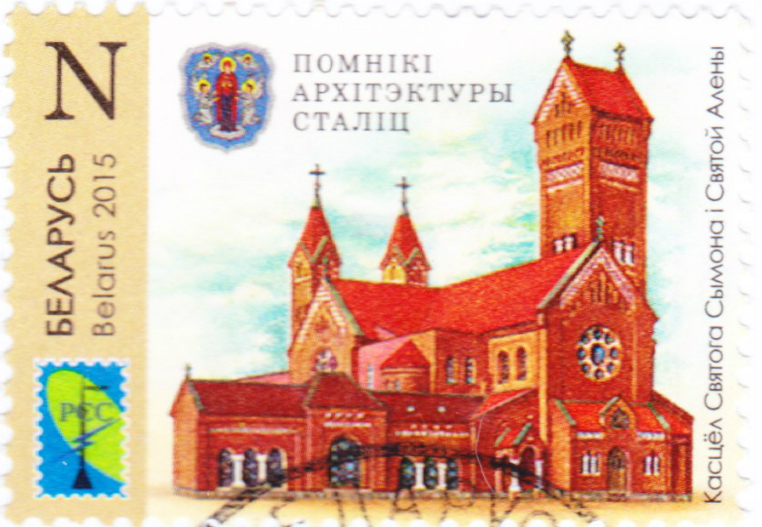 The vertical text reads: "Church of Saints Simon and Helena".